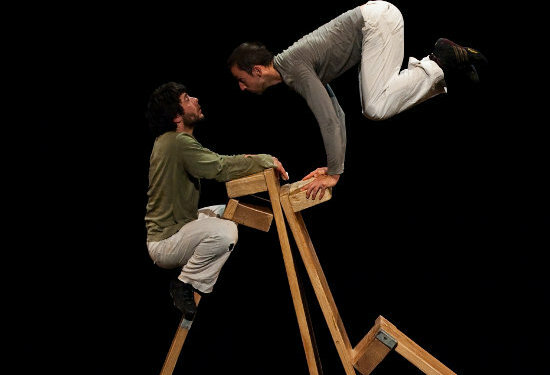 Part of a Circus Platform that includes a mini-festival of work from Académie Fratellini students and a two-day programme of Vietnamese new circus at Parc La Villette, Solstice is a festival of contemporary circus that has a particular interest in placing performance in unusual spaces. It's split between the Paris suburbs of Antony and Châtenay-Malabry, though for the most part action revolves around the Théâtre Firmin Gémier. Within the 2011 edition, there's Circ'ombelico's now very well travelled Da/Fort, a claustrophobic two-hander that sees the audience join the performers in the back of a (not that large) truck; three pieces of quaint street theatre from 2 Rien Merci, collected as Trilogie d’entresorts forains; Compagnie Ieto's Ieto, an ingenious though perhaps misdirected piece that made the company Jeunes Talents Cirque laureates; and a double-bill of Chinese pole in the park from the two companies En-O and Rivages.